If you check out my Works page you’ll see that I have added a new category: Poetry and Drabbles. This month saw my first ever poetry publication, in the Siren’s Call eZine, and my first ever drabble publication, in Trembling With Fear. These are different literary forms for me but, for better or worse, very much in a familiar genre, namely fantastical horror. So if you tend to like the things I usually write, “Requital” and “Preservation” aren’t exactly revolutionary departures. “Requital”, in terms of form, is a villanelle, perhaps most famously typified by “Do not go gentle into that good night”. Although, more accurately, my poem is a double villanelle, which is a variation on the form which I made up because I couldn’t fit my whole idea into nineteen lines. More power to Dylan Thomas that he could. “Preservation” is a drabble, which is a prose piece of exactly 100 words. Clearly this is the shortest thing I’ve had published (by an inverse order of magnitude at least), and it’s hard to imagine myself ever being able to say much of anything more concisely than that. In any case, you can find “Requital” HERE and “Preservation” HERE. Enjoy! The fourth issue of ODQ is now available and contains, among other tales, “Abduction in Ash” written by yours truly and starring Kellan Oakes, who takes on a missing person case and finds himself once again at the wrong end of some nasty, gnarly forest folk. To pull back the curtain a bit, this is a story I wrote quite some time ago, when the Kellan Oakes series started taking on a life of its own and I was doing research into creatures of legend to find likely pegs I might hang stories on. I wound up digging into some fairly obscure corners, and I can only hope that I ended up doing justice to the original lore. 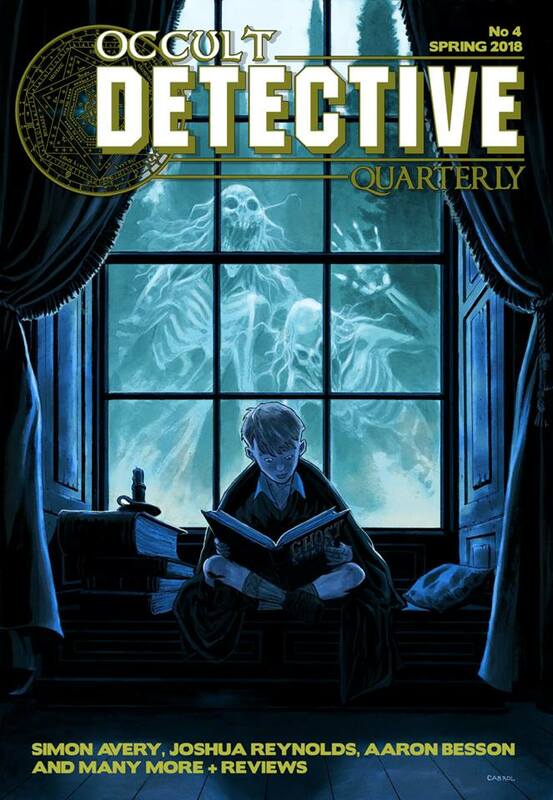 Feel free to judge for yourself – you can obtain your own copy of Occult Detective Quarterly #4 right here!